Kids nowadays play with a lot of technology gadgets, though from time to time they need to use the “old stuff” like watches and wallets. Wallets for kids are great to make them keep their allowance and valuables safe. They can put collectible items like cards and even their pictures and more in them. This is one of the first things they can get as a gift that will help them towards learning and understanding the need to take care of their cash. A valuable gift for any child. A lot of people remember their first wallet that their parents or grandparents gave them. It was a symbol. Something more than just a regular wallet – it meant that you’ve grown up. Besides how could you spend your cash and making that really cool wallet shrink in size? they should have plenty of space for the ID card and other cards. they should ideally have zippers for the coins. made using good quality materials. The Despicable Me minions is another interesting choice for kids wallet. After all who doesn’t like them? Not just the kids but even the parents have a soft spot for those little yellow fellows. The wallet features the minions from the Despicable Me movies at the front. The price is good too. 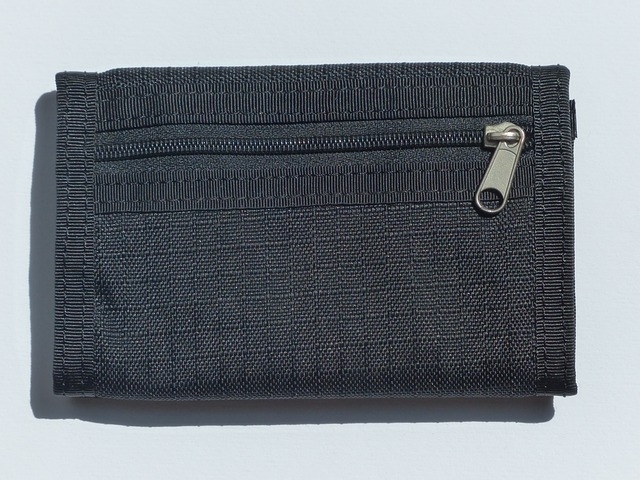 The wallet is with 4.5″ x 3″ (closed) size. Which is great for kids. It is easy to use it and interesting to look. The tri-fold design is great and has enough of room for the kid’ valuables to be stored. There is a bill and ID place too. It has outer and inner zipper pockets. This Lego brick WALL-et looks very cool. It is great option for boys and girls. And best of all it is affordable. It is not too big or too small. It has interior pockets that keep the bills organized. It is tri-fold. It has plenty of room for most kids stuff. There is clear window hold for the ID or favorite picture. There are card slots and a secure Velcro closure. Great idea for gift or just when the kids need new wallet where they can keep their money and valuables safe and tucked away. The design of the wallet is bright and interesting. It is good idea for kids that enjoy legos! The Nike’s basic wallet is great option for kids that do not want bright colors. If you are after something more stylish this might be the one for you. It has clean and good looking simple design. It is a bit more expensive than the other options but still great option for your kid. It is clean design, features just the logo of Nike at the front. The wallet is made of polyester and it has tri-fold design. There is external zippered pocket which is a great little feature if you want to be extra safe. On top of that it will allow you to safely store coins and bills and there is plenty of space for the cards to be stored in. It is easy to use, comfortable and good looking wallet. Trolls Children Wallet is great tri-fold wallet with good design. Great option for kids. It is affordable and good looking. It has zipper (outside and inside too). It has enough room and it not big. Easy to use and carry for your kids. It has the Trolls at the front of the wallet. Its design is interesting and comfortable too. The wallet’s size when closed is 4.75″ x 3.0″. It is made with good quality materials and has enough room for most of the kids stuff. There are compartments for ID too. The Disney Princess tri-fold wallet is great for little girls that enjoy the Disney stories. and looks like a toy. It has tri-fold style and is not big so it could be comfortably used by kids. The wallet is at good price range too. There is front and inner pockets. Place for cards and cash there is place for coins too.